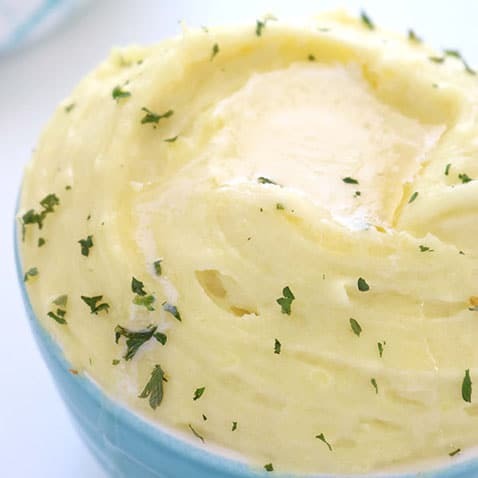 These are The Best Mashed Potatoes. You will find them rich and creamy and oh so easy! Perfect for a every day dinner or great for holidays like Easter, Thanksgiving, and Christmas. 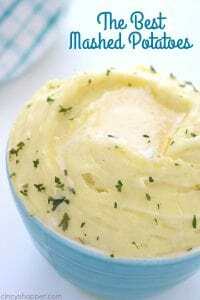 I just realized that I never shared our favorite homemade mashed potato recipe with you here on my blog. Shame on me! Ha ha! 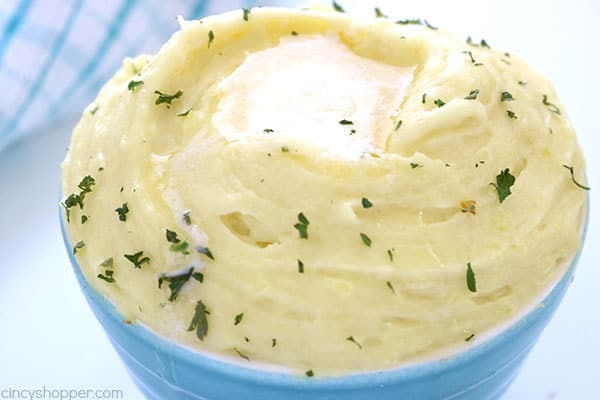 I must confess that on busy weeknights, I normally just make instant mashed potatoes or the premade mashed from the grocery store. 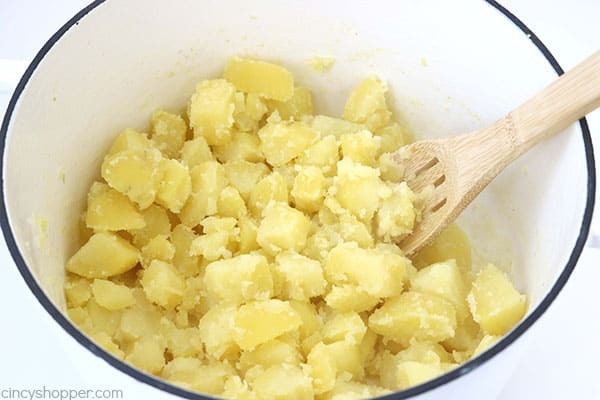 Sometimes the work or peeling and dicing potatoes is just not something I am able to fit in our schedule on busy nights. I think about it sometimes and realize, it really isn’t that much work…. I just have in my head that it is. I For holiday dinners, I always make homemade potatoes. Also, when I make our Simple Salisbury Steak meal. My kiddos devour them each and every time I make them from scratch. It is easy to say that they like homemade much better than store bought. 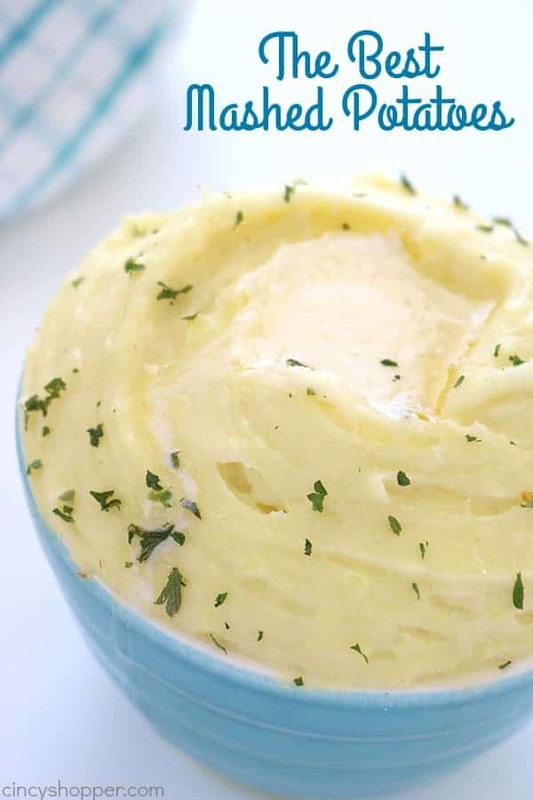 Since Easter is next week, I thought I would finally share my recipe for mashed potatoes. 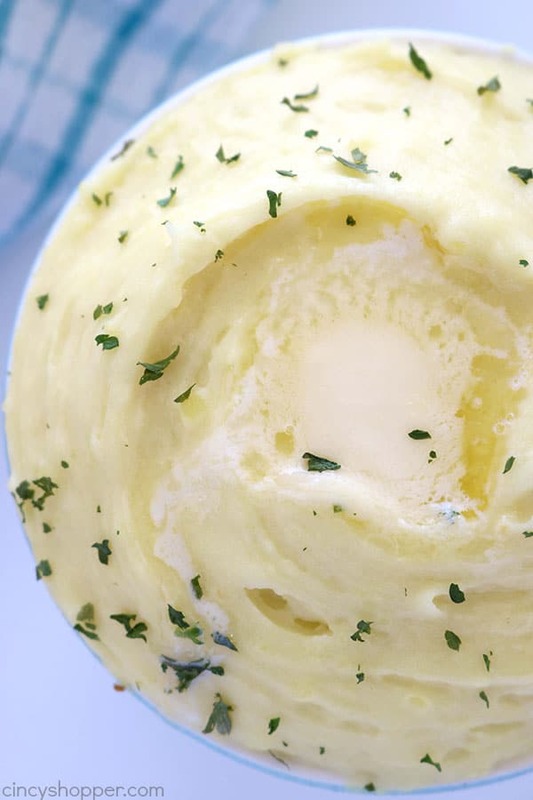 We think they are the best mashed potatoes ever! They are so rich and creamy. They always turn out perfectly. I call them no fail potatoes, lol. The cooking process and the addition of the little bit of cream cheese makes the consistency and taste just perfect. 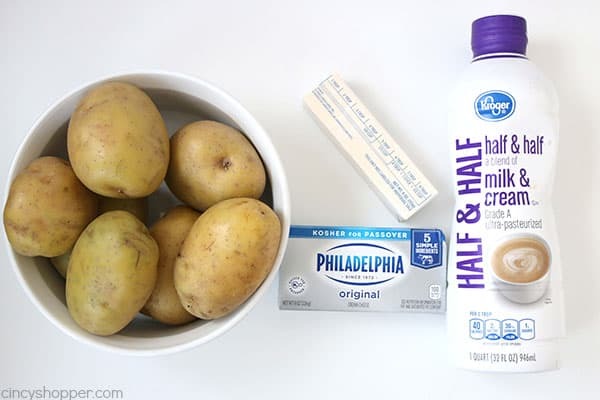 Of course you will need potatoes for this recipe, butter, half & half, and a little bit of cream cheese. 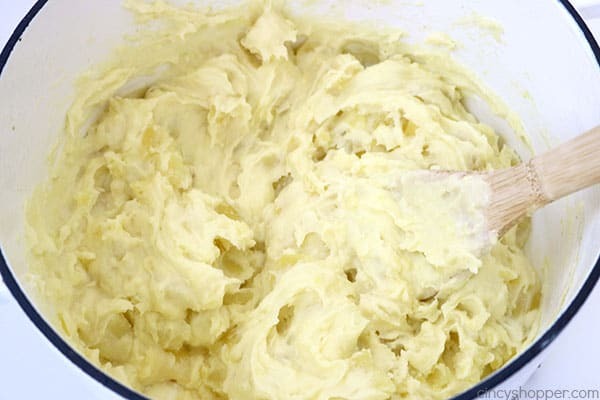 I usually use Yukon Gold potatoes for this recipe because they always turn out perfect. Also, do not be afraid to lather on some extra butter before serving… I always do. This recipe should serve a normal sized family. Our family is far from normal and I feed 7 of us so I usually double it for us. 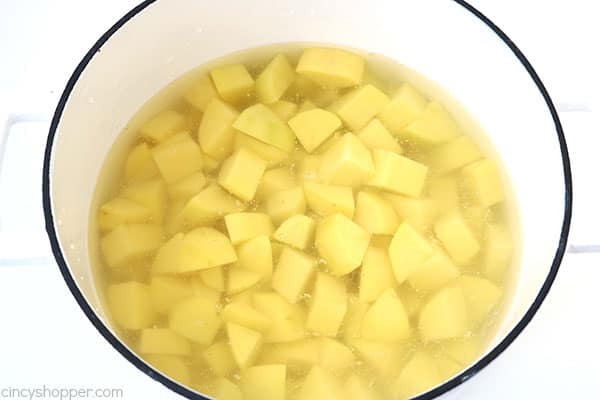 Place potatoes in large pan and fill with cold water to cover. Add 1 teaspoon salt and bring to a boil over medium high. Reduce heat to medium and cook until fork tender (about 20 minutes). 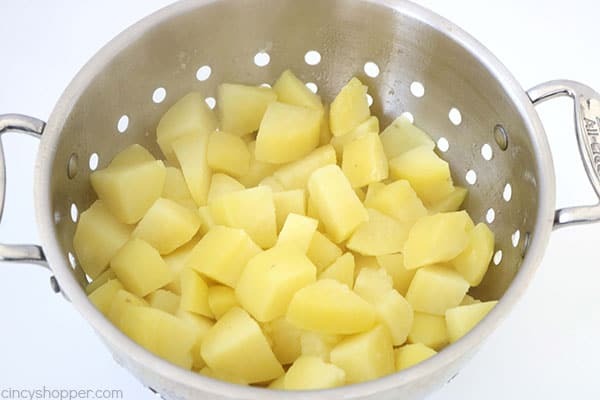 Drain and return potatoes to pan. 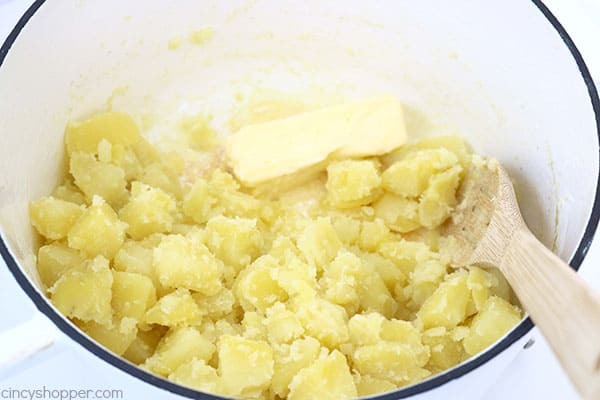 Cook over medium until potatoes are dry and water has evaporated. 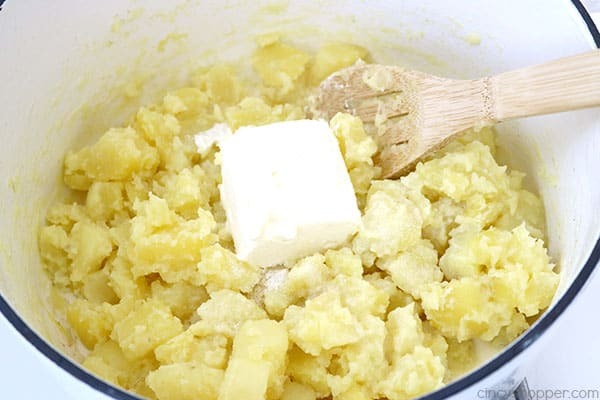 Add butter and mix until combined. Add cream cheese, 2 teaspoons salt and half and half. 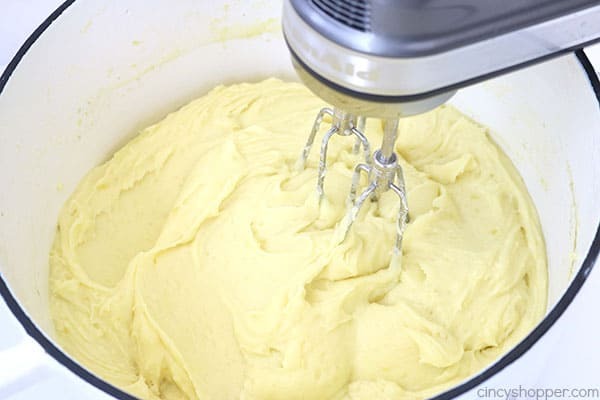 Beat with a hand mixer until smooth and creamy (about 1 to 2 minutes). 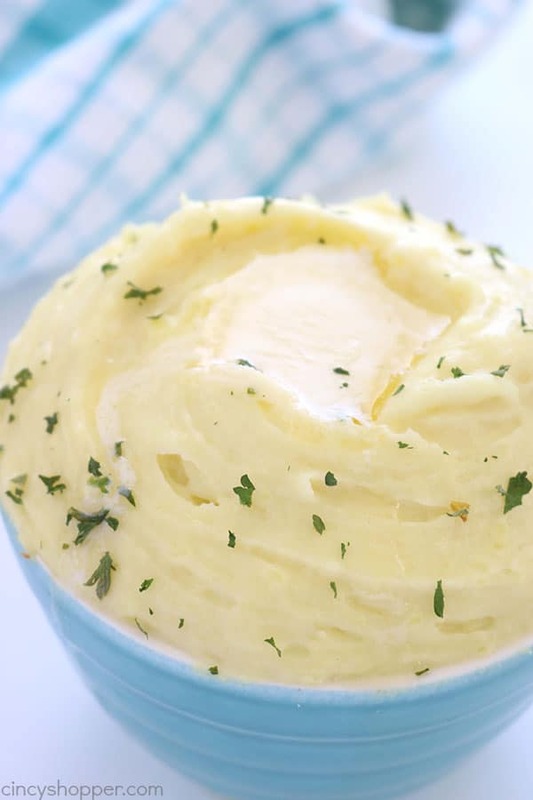 Do you have a favorite mashed potato recipe?